The smart home What Is A Smart Home? What Is A Smart Home? 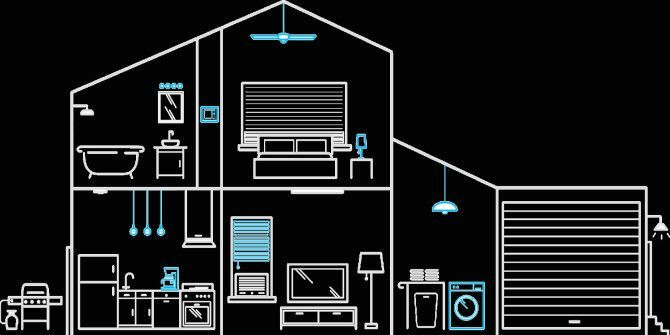 We recently launched a Smart Home category at MakeUseOf, but what is a smart home? 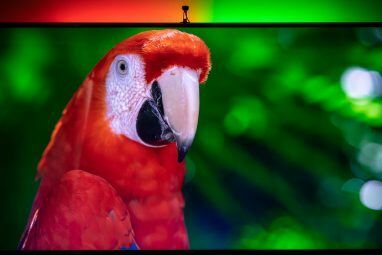 Read More market is currently full of innovative companies, all working to create the best way to make your home more powerful and more efficient, but they don’t always work together well. This leaves you with a number of devices, receivers, and apps that not only take more time to use, but might confuse you into turning on the wrong thing altogether. That’s the problem that Wink set out to solve. Instead of trying to outdo long-established brands at what they do best — like trying to make better light bulbs than Phillips, or better locks than Kwikset — Wink set out to unify them all. You may have heard of the Wink app before (we mentioned it in our review of the Quirky Nimbus smart dashboard Quirky Nimbus Smart Dashboard Review and Giveaway Quirky Nimbus Smart Dashboard Review and Giveaway The Nimbus Dashboard has four individual dials that can be customised to display information relevant to you. That's a pretty awesome idea - but how useful is the end product, really? Read More ), but you might not be aware that it’s changed since its early days. For example, you can buy the Wink hub, a $50 smart home controller that unifies all of your wireless devices — most of which had no way to communicate with each other before. The hub allows them to “speak the same wireless language,” letting you do some pretty cool things that involve multiple devices (which we’ll get to below). 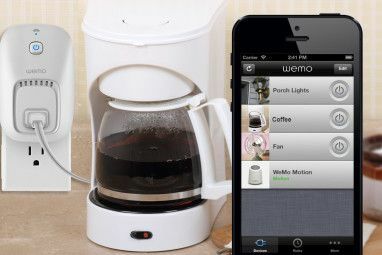 Wink also offers a $300 touchscreen relay controller that replaces a light switch in your home; you can then control all of your connected devices from the single relay point. When Wink first came out, it only worked with the products produced by Quirky and GE, but the list of compatible devices has expanded to over 60 products made by over 15 different manufacturers, including some of the biggest names like Nest, Philips, Honeywell, GE, and Kwikset. By using the Wink hub to link all of your devices together, you can create sets of actions – a bit like your own private If This Then That system for your home. One example that Wink gives on its website is having your lights and air conditioning turn on whenever you unlock your front door. In addition to combining these behaviors, you can also set timers for various activities, so the blinds will go up and the kitchen lights will turn on when you get up in the morning. A lot of the other automation tasks that we’ve discussed in the past, like controlling appliances Control Appliances From An Arduino: The Start Of Home Automation Control Appliances From An Arduino: The Start Of Home Automation Last time, I showed you a few ways of making your Arduino projects speech controlled via SiriProxy, OS X's built-in speakable items, and some Automator scripting, or even a dedicated voice recognition hardware chip. I... Read More and smartening your lamps Brighten Your Home With Smart Lamps: Here Are Your Options Brighten Your Home With Smart Lamps: Here Are Your Options What exactly is a smart lamp, and what's out there? Read More , can be accomplished with Wink and a couple other smart devices. The Wink store includes Philips Hue light bulbs Light Your Home the Smart Way With Philips Hue Light Your Home the Smart Way With Philips Hue If you can afford the initial expenditure, you won't find a better-supported and more user-friendly smart lighting system on the market. Read More , Schlage and Kwikset smart locks Forget Keys: 5 Smart Locks You Can Unlock With Your Phone Forget Keys: 5 Smart Locks You Can Unlock With Your Phone Here are 5 different locks that you can unlock with your phone. Read More , Quirky and Leviton sockets, Lutron dimmers, the Nest thermostat and smoke alarm, a Quirky + GE air conditioner, Bali motorized blinds, and more. And with more products being added in the future, you’ll be able to customize your smart home’s capabilities to fit your liking. There are already a few unique items that work with the system, like a propane tank monitor, an irrigation system, water heaters, and even a piggy bank. With a lot of other systems out there, what sets Wink apart? 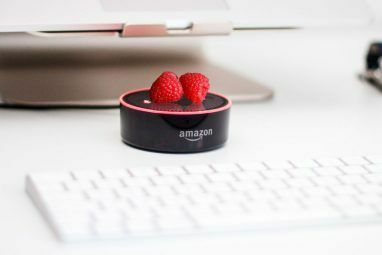 You can already use systems like Z-Wave and Zigbee to link a wide range of things in your home, and the proliferation of manufacturers and products makes it seem likely that there will be other systems released in the near future. The big advantage of Wink is its interoperability. Not only does it work with a wide variety of products, but it also works with multiple different protocols: Z-Wave, Zigbee, wi-fi, and Bluetooth are all supported, which means that many future products will likely work with the system as well. There are other systems that support products made by multiple manufacturers, like SmartThings, but the breadth of available products that work with Wink is quite impressive, and it’s difficult to match the $50 price of the hub. If you’re a tinkerer and you had no problem following our tutorial on how to automate your home with Arduino and Raspberry Pi Home Automation Guide With Raspberry Pi and Arduino Home Automation Guide With Raspberry Pi and Arduino The home automation market is flooded with expensive consumer systems, incompatible with one another and costly to install. If you have a Raspberry Pi and an Arduino, you can basically achieve the same thing at... Read More , you probably don’t need something like Wink. But if you want to get the most out of your smart home without spending time with a soldering iron Beginner's Electronics: 10 Skills You Need to Know Beginner's Electronics: 10 Skills You Need to Know Many of us have never even touched a soldering iron - but making things can incredibly rewarding. Here's ten of the most basic DIY electronics skills to help you get started. Read More or programming an Arduino, the Wink system looks like a great choice. In the end, the creation of the Wink system and the support that it’s getting from big smart home product makers is a great thing for the smart home market. While companies will want to create and sell their own all-in-one systems, many of them realize that making their products interoperable with systems like Wink will help them sell more products overall, meaning that it’s going to get easier to piece together a system that works for your home without having to use a multitude of apps and controllers. If you’re not ready to go for a hub-based system yet, you can always try these six smart home projects you can take on this weekend 6 Smart Home Projects You Can Take On This Weekend 6 Smart Home Projects You Can Take On This Weekend Here are six ways to add a little ambient intelligence to your daily routine. Read More or these four easy project to kickstart your smart home Kickstart Your Smart Home With 4 Easy Projects Kickstart Your Smart Home With 4 Easy Projects Creating a smart home might sound like a huge undertaking, and it can be difficult to know where to start. But it's not as hard as you might think! Read More . Do you use a central controller for your smart home? Which system is it on? Are you more likely to start creating a smart home now that you can get a hub for $50? Explore more about: Home Automation, Smart Lighting, Smart Locks. Wink makes some GORGEOUS hardware.... and I really want to love it. Even their interface is the most beautiful of all the hub options out there. However, I've found the system to be rather flaky, unreliable, and at times completely unresponsive. As I talk about there, the Wink Relay is a gorgeous new unit, but it just didn't work right. Rarely did it perform as desired, and when it comes to smart homes, it needs to be flawless. In the end the best option for me was the staples connect system. Check out my link for all of those deets! Thanks for sharing your findings, Ari! I wasn't able to test any of the hardware, so I was going on the information provided by the company and a couple reviews. I assume we can depend on Wink to automatically update their software and firmware WHEN (not if) security vulnerabilities are uncovered? That's the problem with all of these IoT devices. Manufacturers seem to have ZERO incentive to keep them secure once they've got your $. I definitely agree that manufacturers don't have any incentive to send out updates, and that's tragic. Unfortunately, we're kind of left to protect ourselves. That's why things like the iGuardian are so cool. (If you haven't read that article, you can check it out at //www.makeuseof.com/tag/iguardian-smart-way-protect-home-network/. Interesting perspective on smart home security. I’m not sure if you guys have done this yet but could you do an article on comparing the 3 big home automation systems as I see them that would be Wink, Smarthings and Mi Casa Verde? Interesting idea—thanks for sharing! Maybe we'll do that soon. I'll look into it. Is this a paid advertisement for Wink? It sure sounds like one.